The goal of your marketing or sales team is often to drive a product to market faster than the competition and present it in a way that converts browsers to buyers. It is no longer enough to be the best. Everyone wants to be the best. In this economy, businesses need to effectively manage their product content and information if they are to succeed. To do so, they need to be acutely aware of how that content is utilized, across all platforms and down every channel. 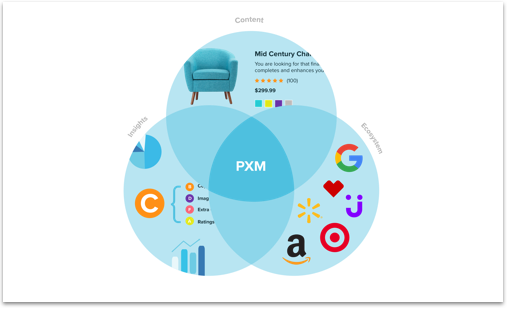 This is Product Information Management (PIM), a cornerstone of product experience management and the starting stage to leveraging product’s content life-cycle to its fullest advantage. This allows product managers to increase their revenue, significantly develop and expand their market share, and improve the productivity of teams working with the content. It constructs a single consolidated source for every stakeholder to view and access product information. This creates consistency when publishing product information and digital resources to retail and e-commerce networks, and directs the most up-to-date content to consumers. Increase product sales by pushing products to market sooner. Improve productivity of sales and marketing teams by organizing product content in one place. Allow managers to recognize and evaluate current product content. Ensure information accuracy and uniformity across all platforms and channels. Incorporate data from various sources to give stakeholders centralized access and control. Product information management improves each step of the content life-cycle. From Creation through Analysis, managing content increases the reliability and efficient application of product data. This is where the company begins to develop and assemble the comprehensive product marketing material and digital resources needed to effectively sell their products. This is often developed by more than one individual and may use several different machines or platforms. Communication across teams and departments is key in this stage. Companies use product information management to standardize content storage and produce a documented history of revisions. This allows all stakeholders to access only the most current content and data as the product marketing is being developed. Without a carefully structured PIM system in place, divergent data is spread across multiple systems without congruency. This can lead to problems, since team members can never be sure who has the most current content. From there a firm will arrange and approve the product content to make sure it is complete and that it complies with the company’s information quality criteria. This process is typically a back and forth between the creative team and management. This is when content is initially checked against both the company’s internal goals and all legal regulations for content compliance. For firms that utilize PIM, this step can go much faster. All of the content that was created initially is available for all parties to review in real-time. Holes in marketing media can be identified and filled rapidly. Approval can take moments, with company compliance and legal teams able to review content with no need for a back-and-forth chain of emails. Speed is of the essence, and PIM delivers that. This is where content really takes on its shine before it hits audiences. Optimizing allows the team to improve and alter any product content so that it meets the specific impact goals of each market and professional endpoint. This includes the various consumer markets, but also any professional channels that are utilized during syndication. With a strong PIM structure in place, product content can get to market faster. This specialization and compartmentalized restructuring of content can be accomplished much faster, with all versions of the content being able to be viewed side by side. Management and creative directors can make sure that marketing goals are in place, in real-time. This puts content out to syndication faster. This is where the magic happens. During syndication, a company delivers its content to venders, market platforms, and other retail endpoints – each in a formatted product feed specific to that channel. This can get complicated without sufficient product information management in place. With a centralized location and database of all stakeholders, syndication with PIM becomes effortless. Once a vendor or platform is entered into the system, they are automatically delivered their content and any updates as the company releases them. This assures that product content is released to the waiting market as quickly as possible, increasing sales from every platform and vendor. Finally, a company must continually monitor their product content to ensure its efficacy and positive market response. Using product information management, content analytics, performance data and suggestions from key stakeholders can be received and implemented in real-time. This allows a company to respond much quicker than normal to rapidly changing market demands. Doing the job right isn’t enough anymore. In order to gain significant market advantage, speed and data integration is paramount. Without the support of a strong product information management system, a company is miles behind its competitors. The economy demands speed and efficiency.